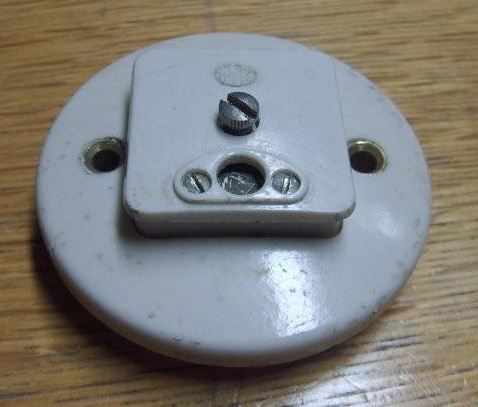 I believe that a 4 pin version existed for master/slave clocks also. Been too busy to post recently, but now I am back. BS 1361 13A fuse. Do I get a prize? Didn't think one would fit in!! Should be a BS 646. Was it on a BESA box as the fixing centres look a bit close together? It's hard to believe, these days, that at one time, clocks used to run off the mains, in houses. 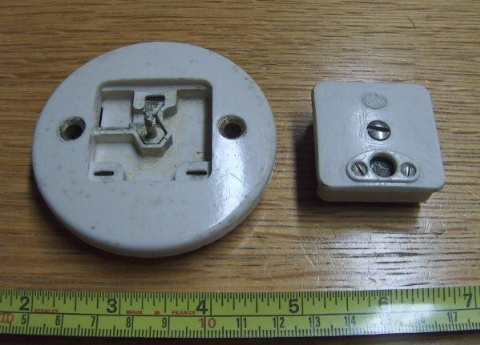 An apprentice and I were re-wiring a house a couple of years back, when the question came as to what this wierd looking socket was in the lounge. I knew as soon as the question was asked (being in another room), I said it was for a clock. The young fella could not have given me a blanker look. 2 Amp circuit if I remember correctly. yes, it is the 13A fuse. It isn't forced and fits perfectly. 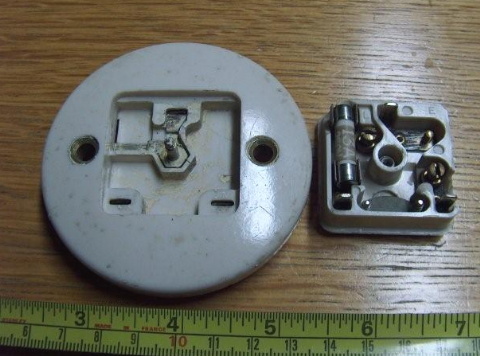 I dont think I would fancy running a kettle or heater off that This socket was fed from the local lighting circuit with a BS3036 15A fuse at the fuseboard and it is designed for a round BESA box but was not fed in conduit, just twin and earth. Dont know why but lots of stuff was like that. I did look for a 240V clock to utilise the socket but could only find ones the size of Big Ben! We have just capped off the supply at high level. If not the mains supply, what does one run a clock on these days? Just batteries? yes, the only clocks that run on mains would be clock radios and ones that are very inaccessible. Having to plug in your wall clock does limit its flexibility so I guess that the inconvenience outweighed the benefit and batteries got better so its now rare to find a mains clock. BS 1361 13A fuse. Do I get a prize? Not quite -- It's BS1362. I've never come across an MK clock connector which uses anything but BS646 fuses before. For our non-U.K. members we'd better explain. The BS1362 fuse as pictured here is the standard 1" long by 1/4" diameter fuse as used in our standard 13A plugs. The BS646 fuse is a similar ceramic-bodied fuse, but shorter and smaller diameter, available in ratings up to 5A maximum. Because of all the el cheapo quartz clocks in offices it is often that clocks show all different times in big offices. The old master / slave clocks at least had all the clocks showing the correct time. I use a Bürk pendulum master clock at home which drives about 30 slave clocks in all the rooms of my house ( Ok i admit, hobby out of control ). These keep time within 3 seconds per month, and automatic adjustment after a powercut. which drives about 30 slave clocks in all the rooms of my house ( Ok i admit, hobby out of control ). Sounds quite normal to me! Confusing 1361 with 1362, a classic schoolboy error........Hangs head in shame!